Hello business owners! Today we are thrilled to announce new features that we have added to TimeWorksTouch. Whether your company already uses Workforce Management Suite or you’re looking for a better way to manage time and attendance, TimeWorksTouch lowers your labor costs and improves your compliance tracking! Your admin staff knows that countless hours are spent correcting and restoring timecards due to accidental, duplicate, or missing punches. Workforce Management Suite simplifies time and attendance management, and we continue to improve our system. TimeWorksTouch is a brand new way for your employees to punch in and out of work, breaks, and meals. With traditional time punch systems, the system is unable to know if the staff member has already punched in or out, cannot anticipate breaks and meals, and allows for many errors. TimeWorksTouch recognizes if an employee has already punched in or out and then uses what we call PunchLogic to know what is next for the employee! For example, if one of your staff members punches in with TimeWorksTouch and then, at the end of the shift, is about to clock out, PunchLogic knows that this employee has already clocked in and only delivers the option to clock out—preventing a time card with missed punches and inaccurate hours. Punch Logic makes it simpler for your busy employees to enter their time and decreases the potential for error. Fewer errors translates to less time spent fixing them and more time being productive. TimeWorksTouch is simple and affordable and the ideal compliment to our entire Workforce Management Suite. It allows you to take full advantage of all the powerful features built into the comprehensive system. 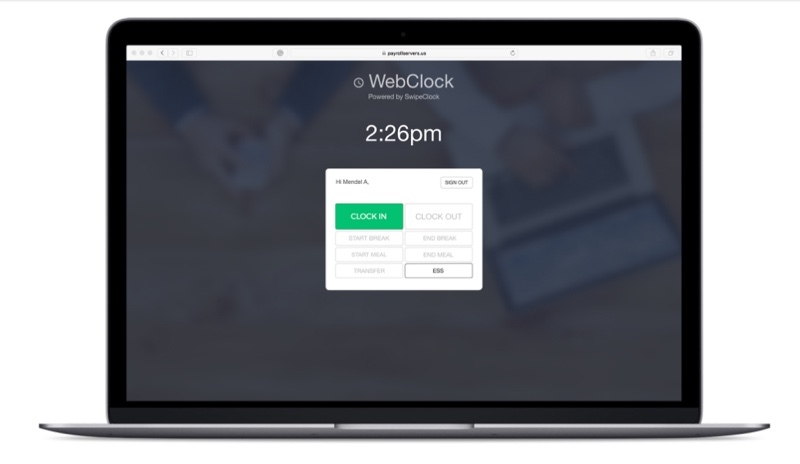 At SwipeClock, we are devoted to constant innovation—and since our system is cloud-based, you never have to download software updates to take advantage of the latest Workforce Management tools. SwipeClock offers WorkforceHUB, the unified Human Resources portal that makes it easy to optimize the performance of your managers, employees, and organization.